Ah, Halloween! The time for binge-watching horror movies, carving pumpkins and of course, making spooky-inspired treats! 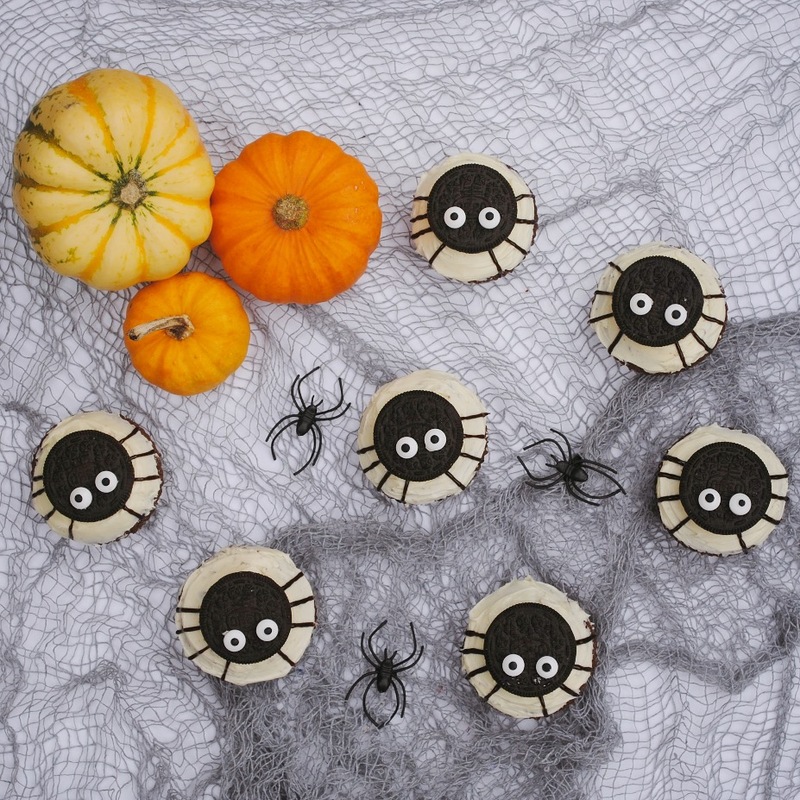 These spider cupcakes were easy to put together and tasted dreamy (if a little on the sickly side – but I’m not complaining). All credit to Pinterest for the inspiration, that place really is the glue that holds my blog together. 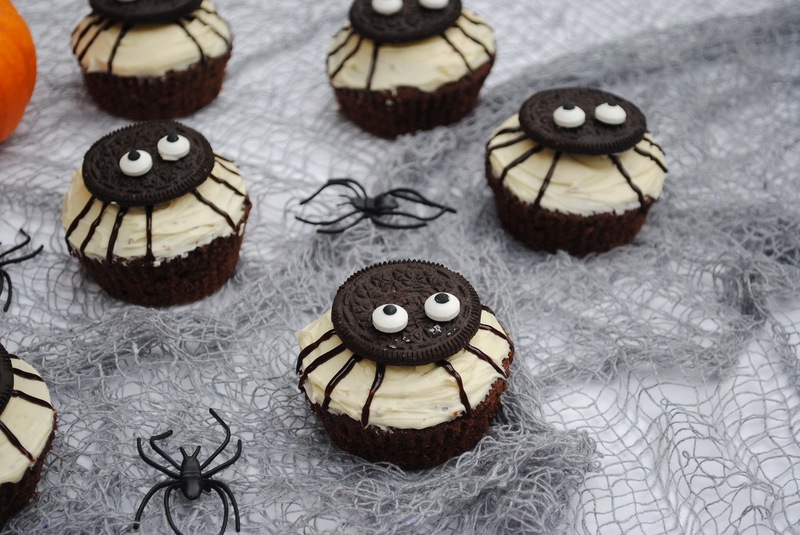 Whether you’re throwing a SPOOKtacular (sorry not sorry) Halloween party or simply want to have a bit of fun and get in the spirit of fright night, try whipping up these hair-raising treats! Sift the cocoa powder into a bowl and add 5 tablespoons of boiling water. Stir until it turns to a thick syrup like consistency. Add the butter and sugar to the cocoa powder and cream together. Break in the eggs and beat, then sift in your flour and fold it into the mixture. Spoon teaspoons of the mixture into muffin cases, and bake for 10-12 minutes (depending on your oven temperature!). Remove from cases and set aside to cool. For the icing, mix in the icing sugar and butter and add vanilla extract. Ice the cupcakes using a flat knife to smooth out the edges. To decorate, first pipe the ‘legs’ onto the cupcakes, then break an Oreo in half (careful as these are very fragile!) and use a little buttercream to stick the eyes on. Admire your work, then run away in fear. Cos, spiders!!! Try my unicorn fudge or lemon drizzle cake recipes! 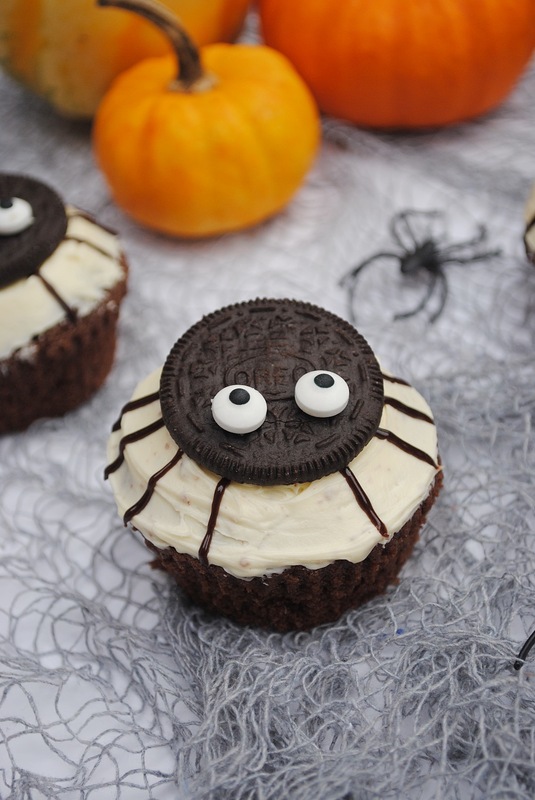 Will you be baking any spooky goodies this Halloween?